Worm free sounds good, too. LOL!!! I should hope so! It's nice to see you, Judy. I'm doing okay. How are you doing? 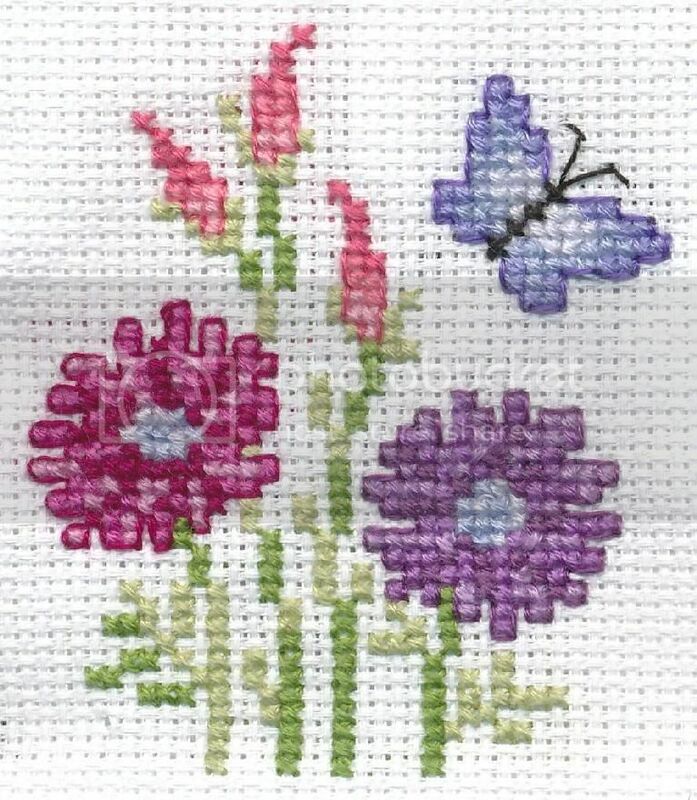 This is a scan of the lavender bag cross stitch that I plan to give to Sally for her birthday next week. I still have to add the tie but the instructions were impossible to understand so I hope I can do it. This is the picture that came with the kit (I did the one on the left). All 3 are just beautiful. Will it take you long to do it? awww. I love the simple beauty. And, the time you take with creating every stitch... all your Love! I've already done one of them and it didn't take me too long but I still have to work out how to put the tie into it since it's a cross stitch. 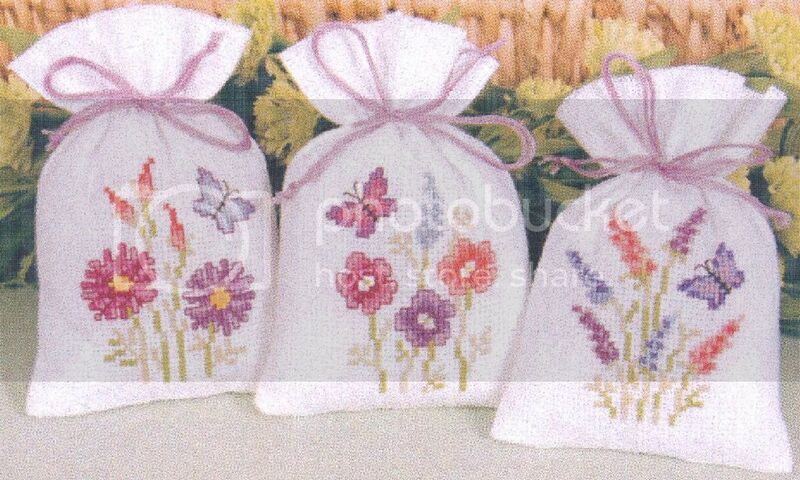 Sally is going to do one for me and I think I'll do the 3rd one for Mum.